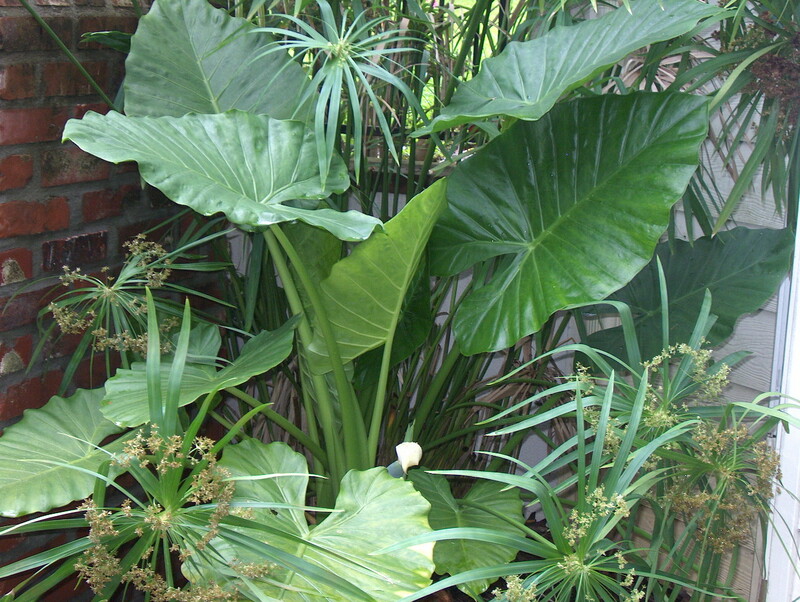 Comments: The taro or giant elephant ear is a very coarse textured tropical that is easily established in the garden, but difficult to get rid of. Killed to the ground by freezing temperatures, but quickly returns in the spring. Control spread, especially close to bodies of water.